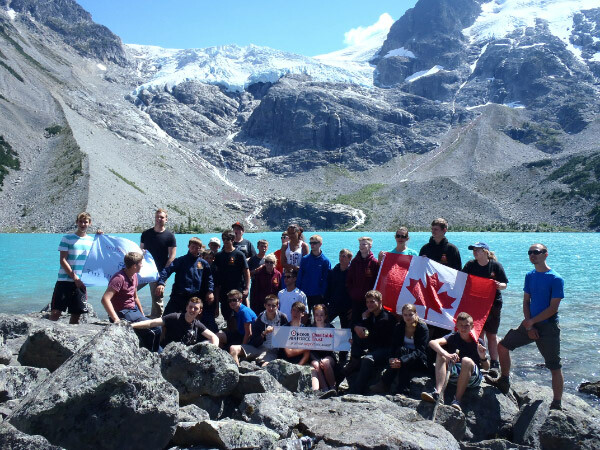 Over two weeks in August 4 staff and 25 Air Cadets from Norfolk and Suffolk Wing embarked on a two week expedition to Whistler, Canada, on the Sea to Sky highway to witness the human impact on the environment. Day 1: We land in Vancouver, play team building games on the beach and prepare for the expedition. Day 2: An early morning pick up by our Canadian guides, a drive up to Squamish along the Sea to Sky Highway to begin our 22km hike up to the Elfin Lakes. Today’s hike introduces the group to the terrain in the Coastal Rainforest and water safety concerns in this region. 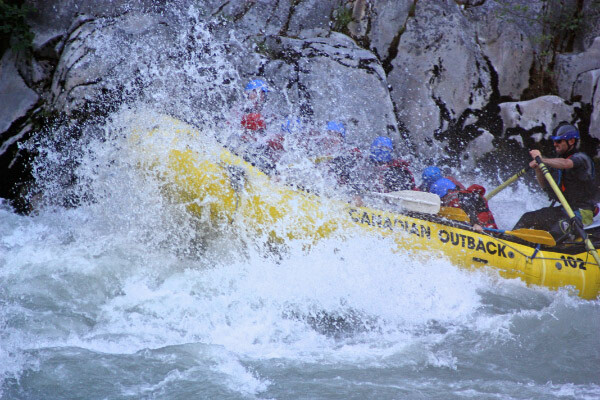 Day 3-4: Our two-day Rafting expedition on the Elaho River begins with some class 3 and 4 rapids whilst taking in the stunning views of the Tantalus mountain range. Camping on an island alongside the Squamish River, the group have the opportunity to guide the boats along calm areas under supervision of the professional rafting guides. 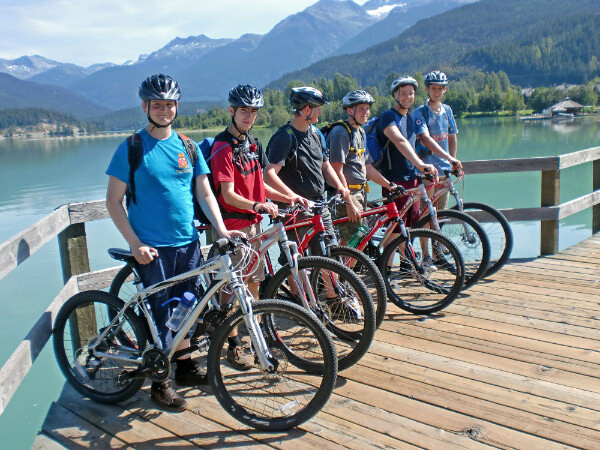 Day 5: Biking in the Whistler Valley. Whistler is world renowned for its mountain biking trails as well as the beginner-friendly crushed gravel and paved pathways that link the local lakes together. The group have the opportunity to swim in the spring fed lakes that surround us. Day 6: Hike to Joffre Lakes set at the base of the Matier Glacier. Our trip brings us past three aquamarine lakes hanging in the valley that are fed by the massive Matier glacier. Our route leads us up a glacial valley as we reach the three lakes before topping out at the Matier Glacier. 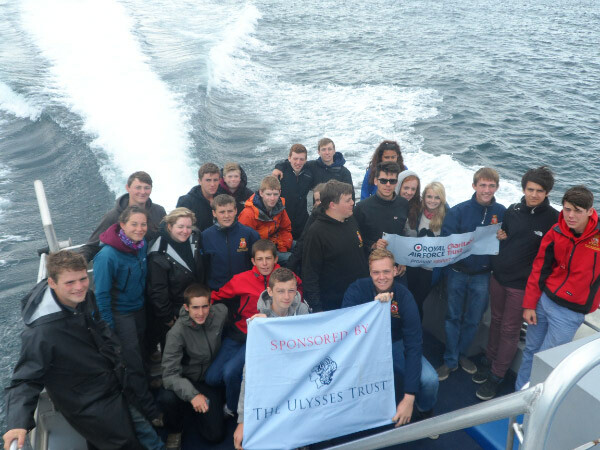 The cadets witness the constant changes with the local glaciers and all the features that open up before us. Day 7: Take our mountain biking skills to a new level! Our certified mountain bike instructors lead the group through a number of exercises that are the true foundations for the sport and progressing on the trail. After working on these interactive skills it’s time to take our knowledge to the trails and put them into action. Day 9: Conservation project: The team spends the day landscaping the gardens of One Mile Lake Nature centre, creating a nature trail for visitors and children. Day 10: After our successful completion of the conservation ahead of schedule, the team has a well earned day off, visiting the Squamish culture centre in Whistler and enjoying an afternoon relaxing in the park and shopping in Whistler village and watching the international bike festival crankworxcompetitors. Day 11: Hike up to Wedge Lake set at the base of the valley’s largest peak, Wedgemount. The trail offers a tough challenge in the steep ascent, but the reward is well worth the efforts. 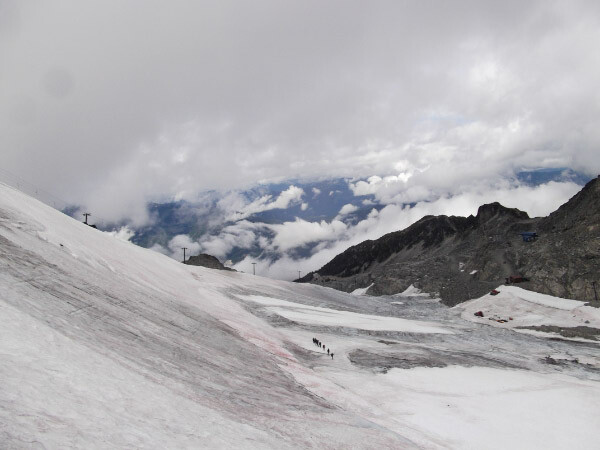 The glaciated terrain that surrounds the region showcases the recession of the ice fields and the connection with our changing weather conditions. Day 12: Hike along the raging waters of Cheakamus River. Cross over Mclaughlin’s suspension hanging over the class 4 waters of the river and venture into Logger’s Lake. Set in a volcanic crater this lake is a perfect spot for a lakeside lunch and swim. Day 13: Hike up Garibaldi Lake. This full day hike takes us past Barrier Lake, Lesser Garibaldi and finally our destination Garibaldi Lake itself. Our route proves to be an interesting geology study with the relationship between past volcanic activity in the area and then melting ice of the Garibaldi Neve. 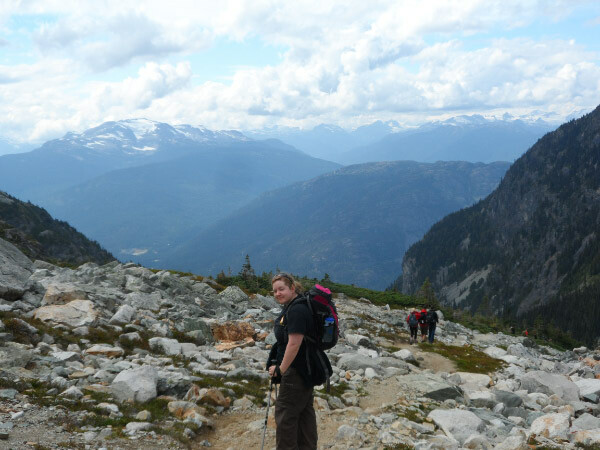 Our return hike down the valley welcomes us with expansive views towards the Tantalus Range and the Callaghan region. Day 14: This day trip to the parks allows us to “meet the mountains” and discover a piece of unspoiled nature, taking us back in time to the formation of this dramatic landscape. Learning about glaciology and ice formation and receiving instruction on walking with crampons and an ice axe. The team learns the basics of ice axe and crampon techniques, self arrests, glacier travel skills and rope handling. An unforgettable day out in the snow-covered backcountry!